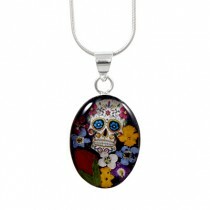 Sugar skulls are the quintessential symbol of Mexico’s captivating Dia de los Muertos – the Day of the Dead festival. 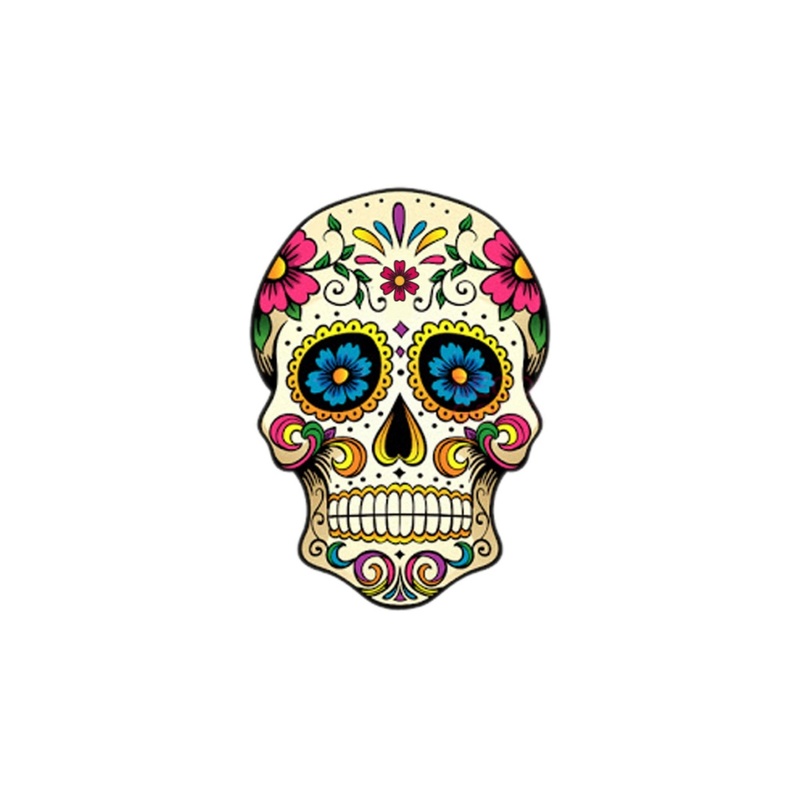 Although it coincides with the Catholic All Saints Day, the Day of the Dead holiday traces its origins back to pre-Columbian Aztec culture. It is a time to honour and celebrate deceased loved ones. On the first night of this two-day festival, the gates of Heaven are opened and the spirits of departed children are allowed to visit with their families for 24 hours. On the second day, departed adults also make the journey to our world. During their visit, the spirits are treated to a good time – specially built altars are piled high with candles, flowers, toys, drinks and platters of food, and decorated with skulls and skeletons made from moulded and coloured sugar. These sugary treats are especially made to represent departed loved ones, and are often inscribed with the names of the departed across the forehead. 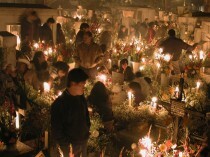 In the afternoon of the second day, the celebration continues in the local cemetery. 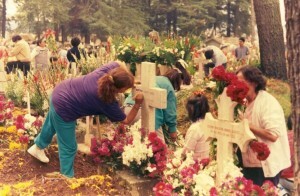 A party replete with music, games and fancy dress ensues, as family members clean graves and tombstones, decorate the cemetery with flowers and candles and hold a vigil in honour of their deceased loved ones. Cleaning and decorating graves. Photo by AlejandroLinaresGarcia. 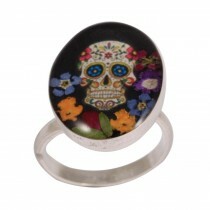 The iconic sugar skulls are very much a fusion of cultures. 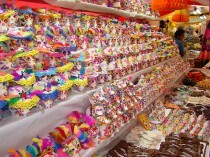 The concept of decorated skulls to honour the dead is an ancient Aztec tradition, but sugar and sugar art are only recent innovations in Mexico. The Spanish introduced sugar cane soon after their conquest of Mexico in the 16th Century, and sugar art, which originated in Palermo, Italy, began to emerge in the 17th or 18th Century. 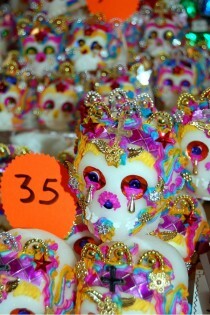 In the months leading up to the Day of the Dead, sugar artisans work hard handcrafting skulls and skeletons in myriad shapes, colours and sizes, and their work is made available in the markets of Southern Mexico as the festive day approaches. 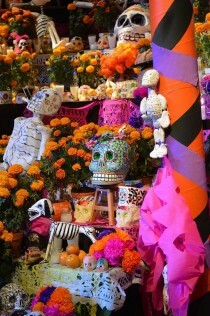 Today, other than representing the departed, they are also gifted to Mexican children as part of the celebration. 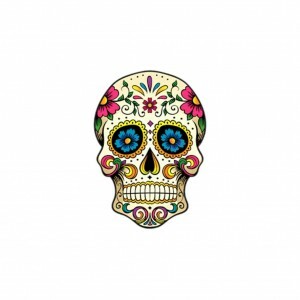 Suffice to say, the fascination and allure of sugar skulls has infected many beyond Mexico, and the phenomenon has spread beyond the actual festival, with representations of sugar skulls becoming a much prized form of decoration, made from many materials other than sugar. 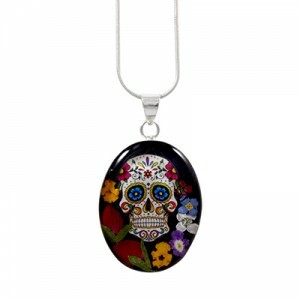 Blue Turtles offers these pendants and ring, made in Mexico using sterling silver and real flowers preserved in a clear resin. These pieces are part of Blue Turtles’ Wildflower Collection, featuring real flowers preserved in resin and sterling silver. Click here to go to the full catalogue. *** Are you interested in traveling to Mexico? Visit this page here, which tells you the best times to visit beautiful Mexico.